A gorgeous personalised ladies apron with a stunning gold wreath and name. This ladies apron is the perfect Christmas gift for a mum or sister. 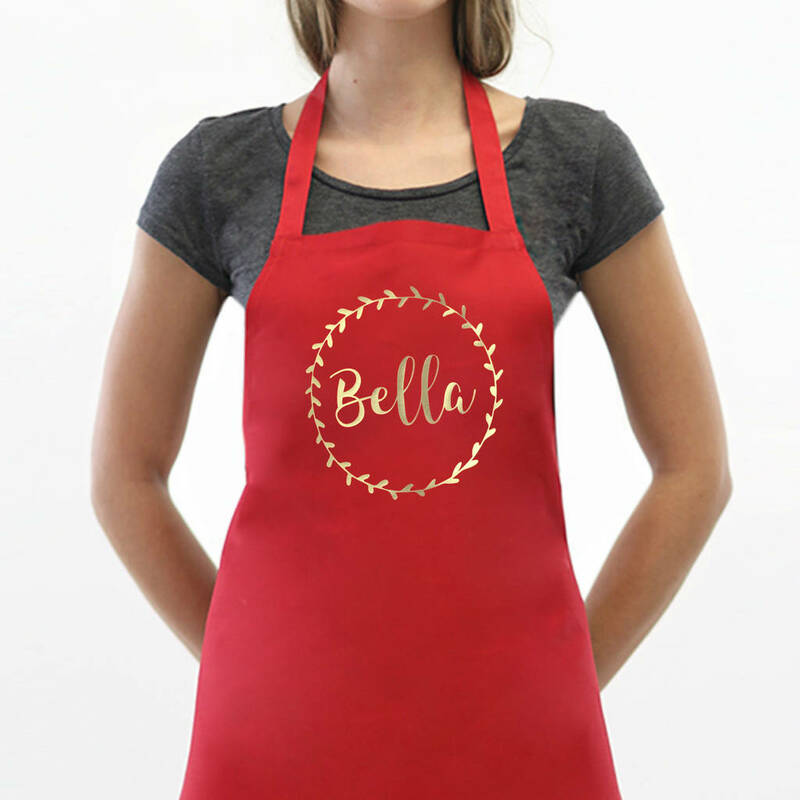 This Betty Bramble apron is custom made with a lovely gold print, personalised with the name of your choice. Our high quality aprons are professionally printed in our studio in leafy Surrey. They are hard wearing and machine washable. You can choose from three colours for the apron; hot pink, red or navy blue. Approximately 78cm high by 58cm wide (excluding neck and waist ties).